There have been significant research on "sudden stops" in emerging markets where there is a strong capital flight in a short period. 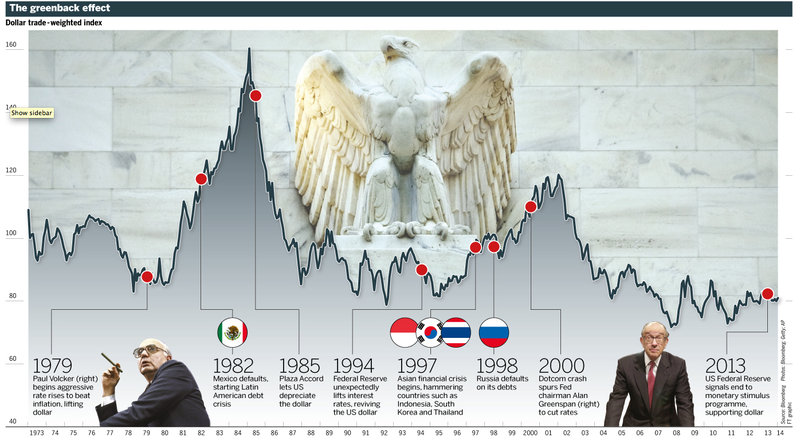 The great fear for emerging markets since the 1998 Asian crisis has been the sudden stop. That is why EM countries have increased their foreign reserves and bought large amounts of US Treasuries. It serves as a buffer against these sudden stops of private bank lending. The alternative to the stops and associated devaluations is what we see now, sudden shifts in policy. The shift in policies usually mean major hikes in rates like what was seen in Turkey as well as India earlier this week. We have gone from a QE world to a tighter interest rate world in a new sudden stop of cheap money. 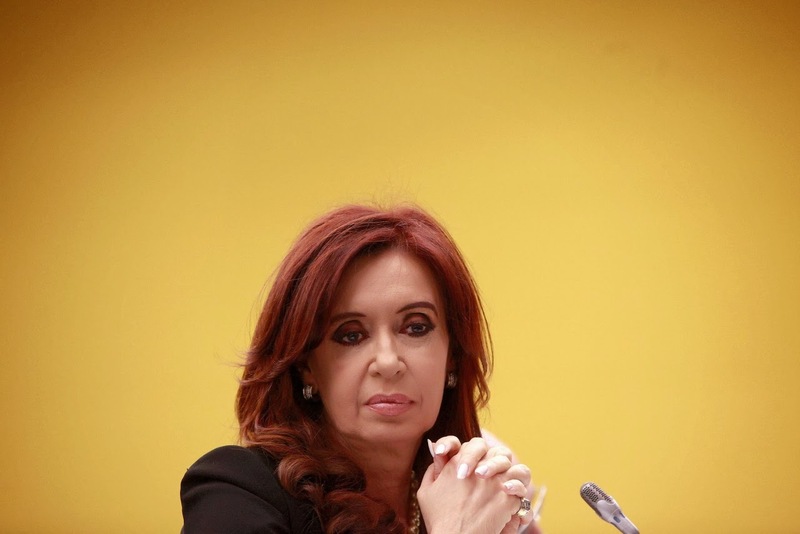 The president of Argentina should look sick. Argentina is again an emerging market disaster. It is a dozen years since the financial crisis of 2002 when it last had a major devaluation and defaulted on its debt. It seems that no one learns from past mistakes. Exports have slowed. Foreign reserves declined in order to support the currency to levels that could not be sustained. Hence, the devaluation. 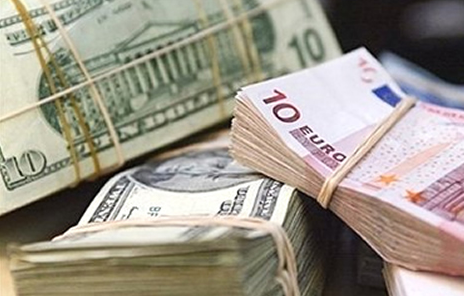 Without central bank support, the Argentinian peso fell 12 percent in a day on January 23rd.Foreign reserves fell to a seven-year low while inflation is now in the range of 30% for the official rate. It is much higher in the street..
Central bank rates have been raised by 5% to 26% to tighten monetary conditions. Policy mistakes of the past have now caught up with the government. This is not a Fed taper problem but just an old fashion currency crisis based on poor government management. There is spill-over to other emerging market countries and to Argentine's closest trading partners like Brazil. The word is out - do not hold EM currencies and central banks are responding with policy tightening. This is a global issue that will not go away soon. Moody's has taken Ireland back to investment grade (Baa3) from dropping it to junk status after the Great Financial Crisis. S&P has it rated BBB+ and Fitch BBB+. Ireland went from Aaa to Aa1 in July 2009 anf dropped to junk in July 2009. S&P had it rated AA+ in March 2009 and took it down to BBB+ and negative watch in December 2011. This has been a significant turn-around for a country that was on the brink of financial chaos. The Irish central bank is now projecting growth of 2.1% in 2014 and 3.2% in 2015. Not great but above peers in the EU. 5-year CDS spreads have fallen to pre-crisis levels at 108 bps. Why focus on tiny Ireland? Here was a true crisis in banking. The economy suffered with the real economy falling over 7 percent yoy in the fourth quarter of 2008. Growth did not return until 2010 and even 2013 growth in the first two quarters was negative. Still, the government was able to patch together a sound plan to get ratings up. It is painful but it can be done. This is the key message. There is survival from a financial crisis. The Vroom-Yetton-Jargo model says that we can break down decisions based on leadership styles. 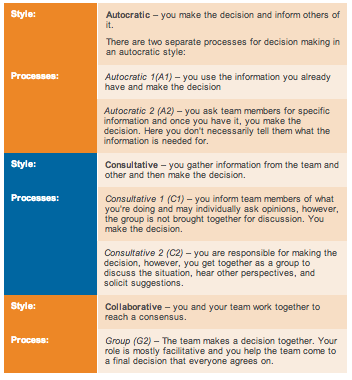 The authors have divided decision leadership styles into three types, autocratic, consultative, and collaborate and then developed a schematic on which style would work best based on the type of decision faced. I always am trying to bring back these models and approaches to investment management. The three leadership styles can easily be applied to investment decisions. 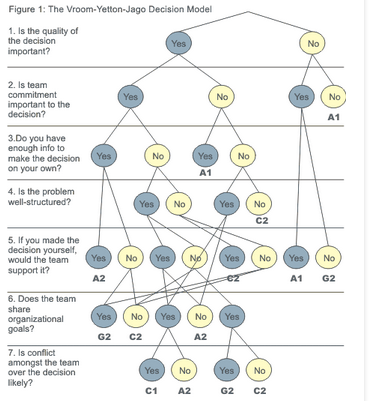 The decision tree suggests that it makes perfect sense to have autocratic leadership in investment management when decisions have to made quickly and you have an expert as the leader. Trading is something that lends itself to autocratic leadership while determining strategic allocations may call for collaborative leadership. When doing fundamental research consultative leadership may be very helpful. The structure of a firm's leadership may truly determine potential success. One hopes the right leadership style is used for the right decision. There was a interesting article on the velocity of money in Business Week that suggests the low number for the velocity of money. The velocity of money is a simple calculation which has often frustrated economist who have tried to measure it and use it as a forecasting tool. There has been strong evidence that money velocity follows a random walk, so it is hard to say that the low velocity of today is any indication of a potential strong recovery. There is some suggestive evidence that velocity may slow in the early part of a recovery but this may be a result of more cash entering the economy after a recession. Simply pit, we cannot say when this low velocity will reverse and low velocity is not causal to a higher recovery. It does tell us that pumping all of the money into the economy has not had the intended effect. There have been more reports on the issue of corporations holding large cash balances. Depending on who is doing the calculation, there could be up to $5 trillion of money that is just sitting on the sidelines not being invested. This is a little bit of a mystery. Ina normal world, cash should be invested in new project. Some cash should be held as part of normal cash management as working capital. Excess cash that is not invested should be given back to shareholders through dividends or through stock buy-backs. The high cash balances does not seem to upset shareholders. So what is going on? Some saying that this is the paradox of thrift on the corporate level. Companies are ruining the the potential recovery by not investing in the global economy. This cash is a form of savings. Many CEO's are saying that they have not made any investments because the world is too uncertain. It is not worth the risk. Interestingly, the policy uncertainty index that has been discussed as one measure of uncertainty is not at extreme levels. Other have argued that the cash balances is a result of poor opportunities in EM but the cash hording has been occurring for some time. I would venture to say that there are expectations of higher policy uncertainty that is not capture by current numbers. The environment is very uncertainty and there is a pessimism that is pervading the corporate world. Bashing of corporation to play to workers has cost. The cost is that companies do not want to invest. Whether potential tax increases, health costs, sovereign rating declines, overall regulation, capital controls or uncertain policy, the world is perceived as uncertainty and risky. These are risks that are imposed by government and not a result of uncertainty growth. It seems that the peak oil story concerning a shortage of supply is not holding water. Certainly, fracking and shale oil discoveries show that technology and innovation can find more supply if the price is right. We may not be going back to $20/ barrel oil but saying we have or will see shortages is not what is going on in the production side of the business. There have not been the huge new field discoveries, but oil is being found. It is an issue that field depletion is very high, most oil economists seem to believe that depletion is following current expectations. There has also been discussion of peak demand stories. That also does not seem to be the case. Emerging market demand is still surging. The story within the US also seems to be following natural behavior. Demand is up given the higher growth rates since the financial crisis. Oil usage has become more efficient, but the story is still the same. Increase aggregate demand and at a reasonable price, oil demand will increase. The fact that peak oil supply or demand stories do not hold is not important. What is important is that the economics of supply and demand still hold. We seem like we enjoy having different names for cluster of countries. This all started with the naming of the BRIC's and have now moved the the latest cluster called the 'fragile five", Brazil, India, Indonesia,Turkey, and South Africa. All have seen significant currency declines, poor current account finances, stock market declines, and subpar growth. This was supposed to be the future of the global economy. Now the fragile five are market leaders in a global decline. 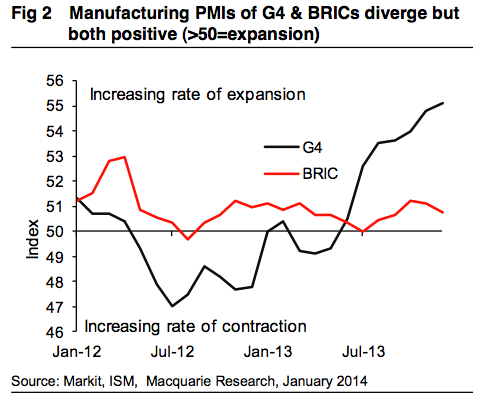 We already know that we are not going to get the growth leadership expected from the BRIC's. There has been significant talk that the crisis with the Fragile Five and EM in general is the result of the taper from the Fed but there is little information to suggest that the taper is the real cause of the EM sell-off. 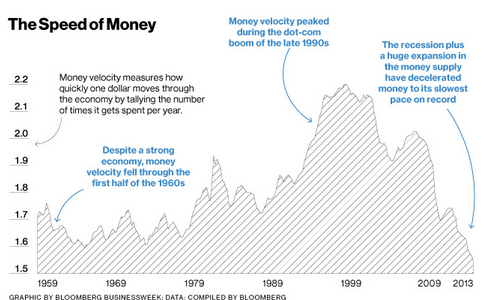 Money velocity is still low. There is no tightness. It is more likely that the higher capital standards for banks is the driver. Banks need to raise capital and seem to want to keep lending local. This is not a taper problem. The gap between emerging markets and developed market growth is tightening. This has occurred through improvement in the EU and a struggling set of EM countries who have current account deficits. What was considered an emerging market miracle may have been something more temporary. With the EU starting to come out of a recession and some stronger growth in Japan during the first three quarters of last year, we are seeing not the death of the developed world but something that is moving closer to trend or rotation. 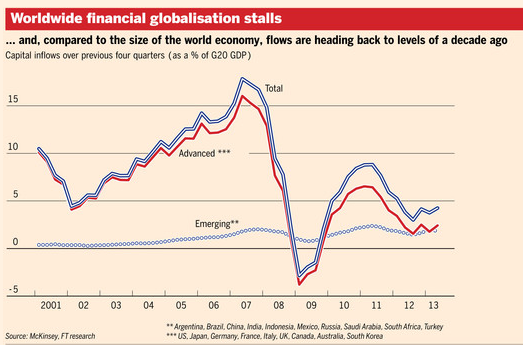 2014 global growth may be driven by the developed world as growth leaders and emerging markets as followers. This is the core story for what is going on with sell-off in emerging markets. While there has a vast improvement in intra-country growth and south-to-south trade, the global trade environment is still driven by North-South trade and North-South capital flows. It is always good to go back to basics for understanding how to develop effective investment decisions. Regardless whether an approach is systematic and quantitative or just qualitative based on the analysis of an expert, a decision framework is critical. I like to use some classic decision theory to help with context for any investment decisions. Let's look at the simple framework that is associated with Bayesian decision analysis. Any decision is based on a decision space. The decision space is the combination of the set of all decisions "d" and the set of all possible outcomes or states of nature "z". Each combination of a decision and a state or outcome will lead to a result, a loss or a gain. In decision theory, the loss function is the outcome from the combination of decision and state, L(d,z). Decisions have consequences. Clearly, there is a large set of possible states and decisions. A grid of choices based on events leading to pay-off or results. A trader just wants to find the combination of decision and state that will minimize the loss function. You can think of this large grid of decisions and states which form a set of losses but that doe snot help with what will likely happen. You want to pick one decision based on what will happen. Of course, life is not that easy because each state has a probability of occurring P(z). Hence, we have to account for the expect loss, E(L) = sum of all possible results [L(d,z)*p(z)]. Minimizing the loss function is the same as maximizing return. If you know the chance of any state and the decision you will choose, you can get an expected return. Now you have something that can be worked with to get an idea of effective decision. You have a forecast problem based on probabilities and a decision problem of what action you would take for a given state. So let's add some simple stories to this model. The size of a trade could be limited which will have an impact on the loss function for any state. This is part of the decision, sizing. If you just go long, you will have a set of pay-offs. If you have an option strategy, you will get a different set of pay-offs. If you have a stop loss your decision will be to get out of a trade so the loss for a decision and outcome will be fixed and limited. So simply put, differences in managers will be a function of the set of decisions that could be made for any state or outcome. Hence, if you want to know how managers differ, you have to ask what would be the decision that will be taken given a certain state. Even if managers have all the same forecasting skill, their returns will differ based on the set of decisions they will take for a given state. This is an important distinction. 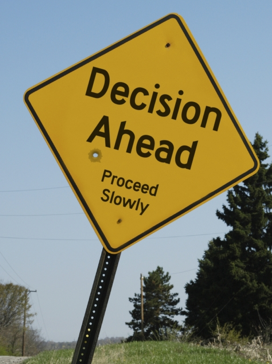 This decision choice is really an easy problem before you add in uncertainty. If you know the state, the decision is obvious. Now, we add in the probability of the state and it becomes harder but still relatively easy to model. If you think that there are different probabilities for what the stock market level will do, you can make a decision for what action to take and you can compute the expected return. Going long or short is an easy decision. Buying an option is more complex but we will know what the loss function will be for any state of the market. Along with differences in decisions, the focus has to be on the probabilities that are constructed by the decision maker with respect to the states of the world. This is the differences in forecasting skill. Understanding investment managers is always a two part process, what is their forecasting skill and who do they make decisions. A review of selected USDA, WAOB, and NASS forecast and estimates in corn and soybeans developed by Scott Irwin of the University of Illinois is interesting reading for those who have gotten burned in grain markets around announcement dates. The author generally finds that forecasts of yield and production are unbiased, but for stocks to usage numbers there has been an increase in surprise volatility over the last few years. What the author propose as a remedy for the dispersion of surprises around announcements is very simple. Tell the market how you calculate the estimates. Seems simple, yet there is a lot of confusion on how yields, production, acreage, and inventories are measured. 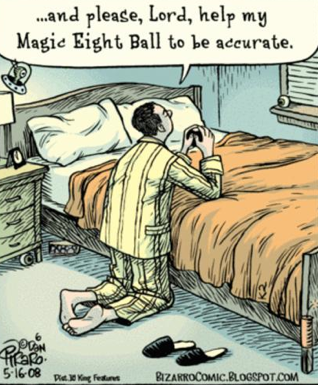 You are not going to get good forecasts if you do not tell the market your methodology. Given the limited number of agriculture announcements in grains, it seems like a simple fix to just provide transparency on how reports are generated. Of course, traders will have to read the how the methodology is employed. Capital flows - showing a world change? There have been a growing number of news articles showing that cross-boarder capital flows have not returned to pre-crisis highs. This is an important topic that has not been given much attention. Capital flows is more important than actual trade flows. Money is not flowing around the world. Should we have more capital flows? This is an important economic question. Some of the decline can be easily explained. 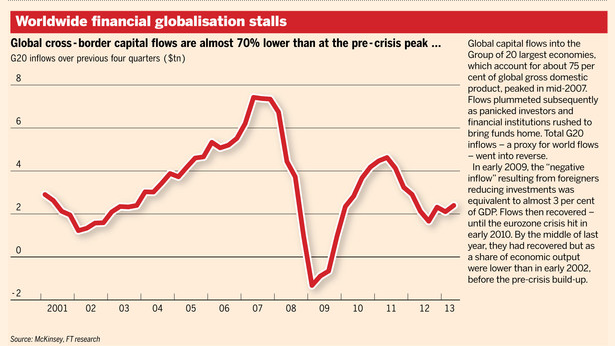 The cross-border flows within the EU have dried since the sovereign debt crisis. Carry trades have declined because interest differentials have fallen. Banks have reduced lending because they want to improve their balance sheets. Regulators have made it more difficult to move money around the world through levered bank lending. Barriers to capital flow are on the rise. It is true that we want to have less hot money moving around the world that can lead to sudden stops in emerging markets, but the movement of capital from those countries that save to those that need funds for investment and consumption is critical for global growth. Now there have been problems with cross-boarder flows from emerging markets to developed countries which have to be addressed, but it is hard to think about a robust global economy where less capital is being traded or moving. The dollar as measured by the DXY index did almost nothing in 2013. So what does that mean for 2014? The changing economic environment will mean a very different dollar range and move. Call it the transition year, but currency markets will be about the transitioning of monetary policy five years after the Great Recession. The Fed has started to taper which means that the Fed's balance sheet will not grow at the same pace as 2013. The result is a tighter funds market for marginal investing even if forward guidance is keeping rates low. The reason for the taper is that the US economy is doing better which is another reason for a stronger dollar. Japan wants to see a lower yen and the EU would also prefer a weaker Euro. In the developed world, the bias is stacked toward a higher dollar. In emerging markets, the impact of a stronger dollar is being felt. Strong dollar periods are usually linked to poor EM markets. The usual reason for this poor performance has been the "original sin" problem of emerging markets having to fund in dollars. The capital flow environment is now not as friendly to EM countries. 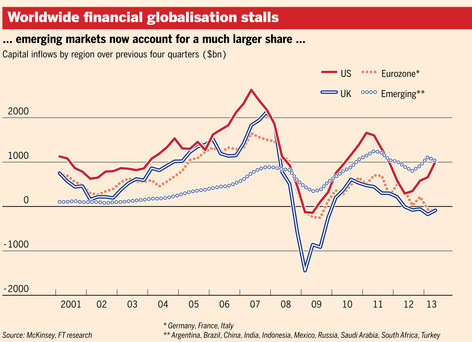 There is less money moving around the world as bank capital is needed improve balance sheets. A stronger growth environment starting from the US will place more upward pressure on the dollar than what was seen in 2013. The following the table provides the crude oil breakdown in the two largest commodity indices. The total allocation to crude oil has not changed significantly, but the composition between WTI and Brent has seen a radical change in the last three years. WTI represented over three times the allocation to Brent in 2011. Now the allocation is almost equal. This is just one small indication of the structural shift in the oil market. The US is becoming more of an energy island somewhat divorced from the rest of the world. Certainly natural gas prices in the US do not reflect global prices. With more shale oil in the system, the same can be said for WTI. Hence, the global markets is using Brent as a better benchmark. Hat tip to a reader who sent me this graph. He stated that QE can be summed up in one picture. 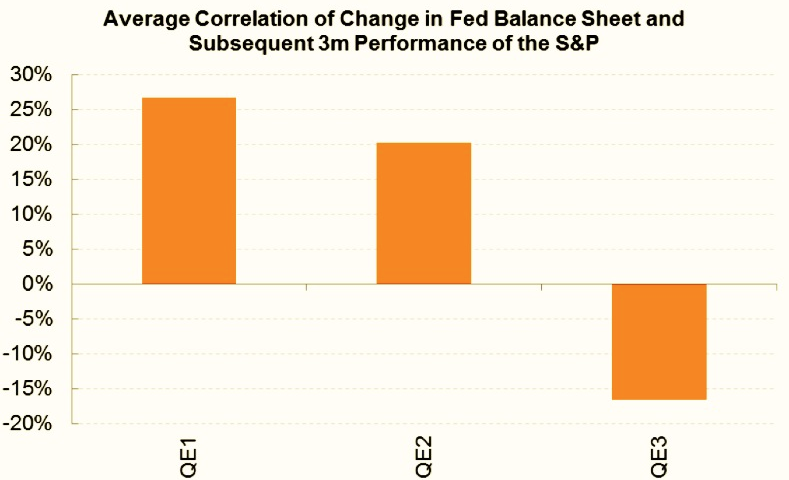 Note the switch from positive to negative correlation with the current QE program. The law of diminishing returns at work. Monetary policy is pushing on a string even for assets that are moving closer to bubble territory. I guess we should put our confidence in forward guidance as the best policy choice? 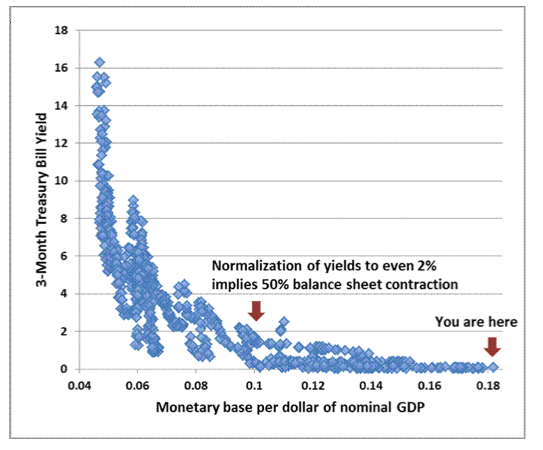 Hat tip to John Hussman of the Hussman Funds for his simple graphs on monetary policy. John always does a good job of making the complex simple. 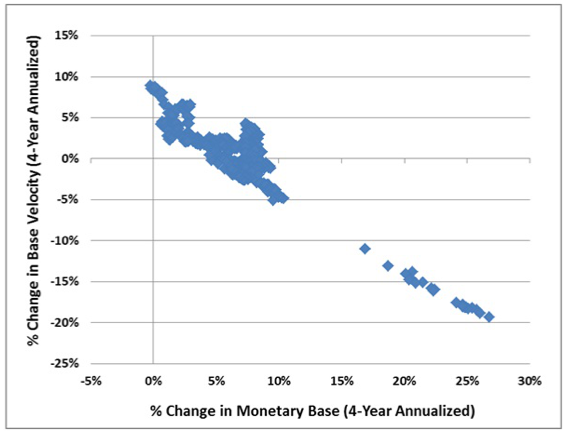 The first graph shows the trade-off between increases in the monetary base and changes in money velocity. The Fed adds more money in the system but there are no opportunities so the result is that the money velocity will decline. The fed needs to get a better handle on the channels of lending. You can push money into the system and lower rates, but banks can choke on this extra money if there are no opportunities. Banks are levered institutions and my understanding of banking is very simple. It takes a lot of good loans to make up for one bad one. The second graph tells us what happens when you flood the banking system with more base money - rates fall. When money is in short supply, rates are high and when there is more of it, rates are low. We understand this but lower rates do not always imply a proportional increase in lending. It would be nice to see a third dimension, bank loans per GDP, but the data shown fits the facts of today. Low rates result from more money in the system which cause investors to reach for yield, but this does not lead to a corresponding increase in new lending. Yes, high yield issuance is up because everyone wants to lower the cost of borrowing which is positive for profits. We see the higher profit levels, but we need lending for new businesses and operations. Perhaps the delay in output is over, but the data so far does not tell a pretty story. The big ideas for macroeconomics in 2014 will be micro in nature. Changes in the economic structures will be the big drivers of change. Forget aggregate demand we want some "small ball" not the "long ball" for those that follow baseball. We understand that when workers are unemployed for longer periods their skills decline. It is harder to find the next job. Unemployment insurance that extends for longer period actual hurt workers. There news to be retraining and a quick turn-around. hence, there needs to be incentives of companies to higher. Small businesses are the largest creators of jobs, yet when regulator increases small business are squeezed. They do not have the scale to deal with more regulation. Higher more compliance officers is not going to get us to full employment. Targeted subsidies do not work because the government cannot predict the next success. Temporary tax cuts do not work because businesses realize that they are temporary. How about some forward guidance on tax policy? This is supposed to be the savior of monetary policy; consequently, it should work for the fiscal side too. Unfortunately, providing forward guidance that your taxes will go up is not helpful. It is the uncertainty that is an issue. Infrastructure matters. Pension benefits not as much. Without sounding hateful, Detroit needs new roads and infrastructure more than paying pensions. Is their a social contract to provide infrastructure like the contracts for pensions? Banks will be less important to the global economy. Earnings will decline because more capital is needed. This will take a toll on the economy as delevering continues, so other financing avenues have to be developed. Finance will be more important if banks are not going to provide it, but regulators and banks want to close the shadow banking system. Shouldn't we want to develop alternative financing mechanisms that match borrowers and creditors? Savings have to find a better more efficient home. This adds to productivity. The fight against financial repression. The global economy is not going to improve with more capital controls and limits on rates. How is zero rates helping the process? What are the appropriate returns on capital relative risk when the risk free rate is negative? The end of floating exchange rates is not a good thing. Rates are more controlled by central banks. How does this help the global economy. Yes, there is less volatility but prices do not reflect reality. How does controlling prices help? I am a global macro guy but see the need to focus on micro issues. "If inflation is the genie, then deflation is the ogre that must be fought decisively." She refers to the global recovery today as feeble. Strong stuff but what does that mean for investors? There will not be any control on inflation until we get back to 2% or higher, then central banks will start to take a look at what to do in this area. Can you really afford to lose 2% in real value in a low interest rate environment? Real rates are negative. So we have policy officials that think good policy is destroying savings at a higher rate. When is there going to be policy officials that speak up for the creditor? 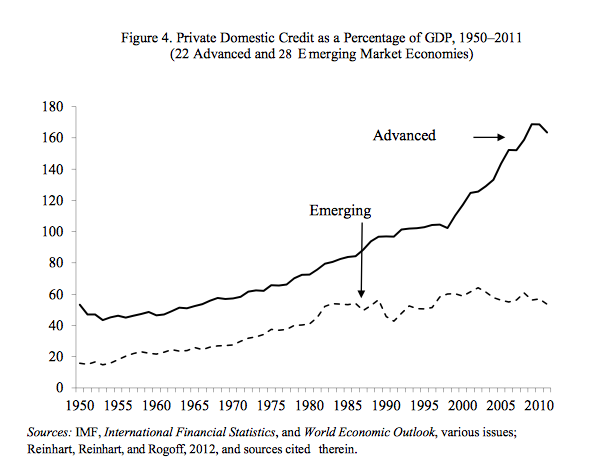 (Speaking up for creditors is not about imposing austerity on emerging markets like what was tried in the 1990's. That was painful.) I understand that we want to get unemployment down and close the output gap. This is good for everyone. Deflation increases default risk which is extremely harmful for savers, but couldn't we think out of the box instead of the usual inflation employment trade-off? Truth is the commodity that is always in short supply in trading. No, traders do not lie. They just try and avoid the truth of what may be going wrong. Just like there are laws to "force" good behavior on us in society, risk management tries to help us face the truth through limiting or controlling our behavior. The other key tool for finding the truth is performance attribution. This is not performance contribution which tells us where we make money. Performance attribution tells us how we made the money through which style or strategy if it done right. Isn' this the reason you want to have a risk management strategy? A manager may have an investment plan but markets change and when they do for the negative you get punched in the mouth. So the objective of risk management is to ensure you have a strategy when that punch occurs. You do not plan to have this happen, but those bad events do occur. One of the simplest ways to deal with the punch is have stop loss orders or limits on any positions. When the punches start coming you are ready with idea of what you are going to do. Every strategy should have an exit or protection plan for those times when events go wrong and surprises occur. "Happy is he who knows the cause of things"
Virgil's famous phrase suggests the energy and gain from learning. It was something that stirred the heart of even an ancient Roman, yet it is hard for me to feel happy in the current investment environment. I am having a hard time understanding the macro environment. I think I know the cause of the current slow recovery, excessive debt which needs to be worked off over time time. But I don't know what will be the effect of current policy. Is monetary policy working? I don't think so. Is there a fiscal policy that will increase aggregate demand? I don't think so. Is there a policy for growth and creating job? I don't know. If I cannot answer those questions, it is hard to be a happy investor in the current environment. Back to basics - "Don't think, look!" "Don't think, look!" is the famous quote from the philosopher Ludwig Wittgenstein in his work Philosophical Investigations. His focus was to take philosophy out of the realm of words that can be imprecise and focus on what can be seen. Put differently, words can only give a partial view of what has been seen. Seeing can be done from different angles and dimensions. The focus can change. What is important can change. The picture can be the same but our way of seeing may differ. Our visions will be different. How we see is as important as what we see. We can have the same set of facts on a sheet of paper yet still see different conclusions. Perhaps seeing is not easy. I want to be a better investor in the new year, so I am going to have to get better at observing. I could say that I want to have better intuition but that does not say anything about how I am going to get better. The work is in the process. I have to not just see more but observe better. There is a lot of financial information available and the work of good intuition is to see the important data and eliminate what is not needed. I love the thinking of Sherlock Holmes. He would make a great investor with his poet of observation and deduction. Here are a set of quotes form Sherlock to his good friend Dr. Watson. The power of observation is critical. "Quite so," he answered, lighting a cigarette, and throwing himself down into an armchair, "You see, but you do not observe. The distinction is clear." "Not invisible, but unnoticed, Watson. You did not know where to look, and so you missed all that was important." "Never trust to general impressions, my boy, but concentrate yourself upon details." "Indeed, I have found that it is usually in unimportant matters that there is a field for the observation, and for the quick analysis of cause and effect." It is perhaps less suggestive than it might have been, and yet there are few inferences which are very distinct and a few others which represent at least a strong balance of probability." "Circumstantial evidence is a very tricky thing. It may seem to point very straight to one thing., but if you shift your own point of view a little, you may find it pointing in an equally uncompromising manner to something entirely different." "It would cease to be a danger if we could define it." "I have no data yet. It is a capital mistake to theorize before one has data. Insensibly one begins to twist facts to suit theories, instead of theories to suit fact." "Data! data! data! I cannot make bricks without clay." My dear fellow, life is infinitely stranger than anything which the mind of man could invent. We would not dare to conceive the things which are really mere commonplace of existence." Holmes: "That is easily gotten." Holmes:"that is not always so easy." 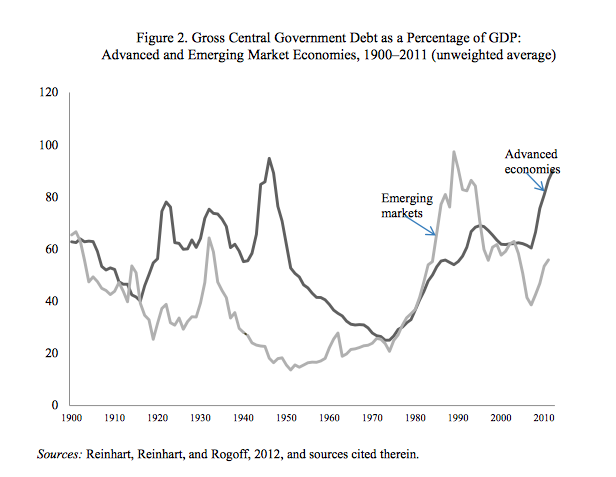 Carmen Reinhart and Ken Rogoff are at it again with their new IMF working paper, "Financial and Sovereign Debt Crises: Some lessons learned and those forgotten". Their paper is an extension of their earlier work on debt crises. Of course, those were the pair that were blasted of excel errors in their work on debt and growth. Their results still showed that high debt levels will impair economic growth. Their new paper suggests that ideas that advanced countries can implement some simple austerity programs and avoid debt crises is just not practical. Emerging markets have always resorted debt restructuring and conversions, higher inflation, capital controls and other forms of financial repression. The historical record shows that advanced economies are not immune to those types of policies. There will be a cost to creditors to clean-up excessive debt. There is no getting around this issue. The numbers are stacked against advanced economies relative to emerging markets. Consequently, we should expect that advanced economies will have to use a painful toolbox of policies to get this problem under control. Governments will have to resort to more aggressive financial repression. The post-WWII period of financial repression was also a period of less crises. Allowing financial liberalization coupled with run away government debt will lead to crises. Now governments will have to determine how to clean-up the mess. Commodity firms - systemic risk? The structure of commodity markets is changing. Banks will be getting out of this business based on the poor returns over last few years and the impact of Dodd-Frank and more importantly the Volcker Rule. Banks are more focused on core businesses and will jettison those that are not making or will not make higher ROE's. Out goes commodities which have started to slow relative to the go-go years of the super cycle. However, there is an undercurrent within the commodity markets that perhaps the key non-bank trading houses represent a systemic risk. If banks are a systemic risk, couldn't firms that are active in the trading of vital commodities also be included in this scheme to monitor? Certainly through the GFMA, a bank lobby group, there is the view that if bank commodity trading is a systemic risk, the same logic may also be applied to other firms who are not banks but are deeply involved in commodity intermediation. The question is actually complex. Do trading houses which may extend credit to producers and offer risk mitigation services act like shadow banks and thus should be included in a systemic risk analysis? These trading houses are facing their own set of return compression and competitive pressures. The issue is whether their logistical services with moving commodities around the world are such that they require more government oversight. I think the question should be discussed and it is worth studying these market dynamics, but where do systemic risks end? What about the fact that a lot of key commodity producers are state-owned enterprises? There are gong to be some big changes in commodity markets given the large sell-off in many markets. Governments and consumers also have a strong dislike for speculation. These issues may com to a head in 2014 and the results cannot be predicted. There are going to be some key macroeconomic themes for 2014 which will determine the direction of any portfolio. The current environment cannot sustain a 20% plus return in equities or a 20% decline in long bond returns. Most Wall Street forecasters are predicting a better growth year, but to have this growth occur we are going to have to see some positive developments in some key areas. We are in a period of transitions as we begin 2014, but that does not really get to the heart of the issue for future. We may not have a well-known way of achieving transition from the current policy and growth issues. We are not in normal business cycle transitions where we move to a well-known or experienced phase of higher growth. From "tapertantrum" to beyond - So what now for monetary policy? The start of tempering is a movement to normalization and suggest that the economy is starting to better, but reliance on forward guidance's a policy is bankrupt. Let's look at the bank lending channel. It is not working, so what does it mean to say we are ready to move to normalization? It is not clear that Chairman Yellen will have some new ideas to present. The same policies will not be effective at changing the current slow growth path. Fiscal policy fiasco again? - We are going to have deal with the debt ceiling again in the US and there still has to be a deeper discussion of G7, EU, and fiscal responsibility. Austerity is not an effective policy for growth but the government liabilities that are continued to be grown also are not a policy that can last much longer. If pension liabilities are not addressed, consumers will have to save to make up the difference which is a drag on aggregate demand and is at odds with the objectives of monetary policy which is to get consumption pulled forward. Deflation issue - Monetary policy in the G3 has not been able to create what they have always wanted in this post-crisis environment - inflation. The concept of simple. If there is some inflation, there will be more economic activity that will be moved forward. If deflation occurs, consumption will be pushed back in time and creditors who are highly levered will be hurt. We are willing to hurt creditors in an effort to improve aggregate demand. This policy has not worked. The Fed has not been successful at hitting a 2% inflation. The numbers suggest that we are going in the opposite direction. The numbers are worse in the EU. There has been some improvement on the inflation front in Japan but we still have to see sustained price increases. If central banks start to normalize policies, are we going to be see any inflation? Normalization and more inflation are at odds with each other. Abenomics - 2014 will be the true test of the new Japanese policies given there is an increase in consumption taxes. The question is whether we are headed to a better growth environment or "Abegeddon". Emerging Markets - The years has started poorly for EM stocks. It is hard to have a robust global economic expansion without EM growth. The US was a more important driver in past decades. We are not discounting the catalyst that comes from a US growth increase, but the relative importance has declined. The world needs the BIITS (Brazil, India, Indonesia, Turkey, and South Africa) to kick in with better growth. These are the countries that all have current account deficits, poor currency dynamics, and sharp stock loses. They are the countries most vulnerable to any rise in US rates. China as usual - This has now become the usual country of choice to any watch list for positive growth. The government wants us to believe that another 7% growth year is going to occur, but the recent problems in financial markets suggest that policy-makers may have less control over the economy. Try and crackdown on excessive lending and there are unexpected impacts on rates. 2014 is supposed to be a year of reform and movement to market based principles. I would hate to be an out of favor Chinese politician. There will be a crackdown, but can it help get a consumer driven high growth economy? The export policies of the last decade are not going to be the driver. The current account surplus has fallen to about 3% of GDP which is about the deficit that is being run by the US. EU reforms - this will be painful - The EU needs bank reforms, pension reforms, trade reforms, and change in the traditional mindset of governments that can provide a nice safety net from the robust competition from the rest of the world. The AQR (asset quality review) tests will be a lightening rod for what reforms may be possible in the EU. Deflation fears are real and the ECB has a limited bag of tricks. Their forward guidance to say that they will do whatever it takes may actually be put to the test. Are all of these transitions going to occur? Not likely. The usual story for monetary policy effectiveness that if the Fed lowers the Fed funds rate there will be more bank lending through the money multiplier. If the cost of reserves is lowered, the volume of lending will go up. It was that simple. If the Fed funds is pushed to zero, the idea is that the Fed should crowd out investors in risk-free instruments and push them into riskier assets. Unfortunately, research suggests that the causation does not move from bank reserves to bank lending. In reality, bank lending decisions are made on the creditworthiness of the borrower and then tries to find the cheapest method of financing. Empirical analysis finds that changes in reserve balances are uncorrelated with movements in bank lending. This is not something new, the latest research reinforces the argument that there is not a text book link between lower rates, increasing reserves and seeing more lending. Reserves are way up, the money multiplier has fallen and lending is not up. Bank reserves have increases and the difference between Fed funds and IOER (interest rate on excess reserves) has gone more negative. The Fed funds market has fallen apart with loans only about 1/3rd of 2008 levels and half of 2005 levels. Bank reserves are increasing with rising bank capital requirements and deposit insurance assessments. Bank reserves have moved from close to zero in the pre-crisis environment to over $800 billion for large domestic banks and $1.2 trillion for foreign banks. Cash represents more than 50% of non-US bank assets and about 13% of large US bank assets. The Fed should have expected this result. If that is the case, then what will be the policy tool or action that will change bank lending? Not the difference in this post versus our comments on 'credit cassandras" where high yield syndicated loans are exploding in volume. There is money that is available for weak credits at high fees and relative prices, but normal lending is a very different matter. This is the policy issues the has to be discussed and addressed. Enough on forward guidance and tapering. Every firm that wants to borrow money and leverage opportunities is coming to the market. The taper has started and even with forward guidance that rates will stay low, there is a growing sense that you better get your cheap financing now. Poorer quality companies will try and obtain money sooner. If you are on the edge, get your cheap money. On the other side of the equation are billions of available funds that wants to find a home. These funds are willing to be less selective on terms to get funds invested. This combination of creditors that need cash and lenders willing to supply at less stringent terms is toxic and is the basis for growing view that we are headed for another credit crisis. The latest example of this negative view was in a recent FT article on the demand for risky assets. The chart tells the story. 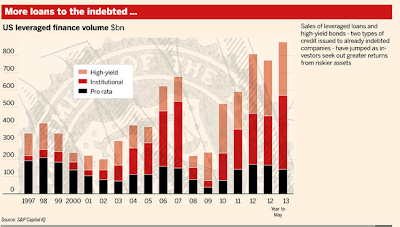 Leveraged finance volume is higher than pre-crisis levels. This is with many credit markets showing less growth and deleveraging occurring in many areas. I will note that commercial paper issuance is way down relative to pre-crisis levels and excess reserves are at highs. The new Wall Street game is packaging loans and selling them to investors while keeping higher quality paper on the balance sheet. No trading but syndication. Junk bond issuance has also surged. There is some concern that lending terms are looser. Is this the intent of the low interest rate policy of the Fed? If all of this money is going to marginal companies, what will happen if there is a rise in rates? More importantly, what will happen if there is a decline in growth or growth just stays at the current anemic levels? Finance academics - Are they biased? There has been significant blog traffic on the controversy concerning a NYT article on unbiased academic research and the connection between Wall Street and academics. The key argument is that some professors who have written on speculation, Craig Pirrong and Scott Irwin to be specific, are in the bag with Wall Street. Both have done work that has shown that speculation may not have a negative impact on prices. I have chosen by words carefully. I will not review their research work. The impact of speculation is very important topic that still needs to be analyzed. Do speculators drive markets? In general, the answer is no, but clearly there are times when speculative players will have an impact on prices. Anything to the contrary would be a poor understanding of market dynamics. The question is how can we identify those times and conditions. What is important is to defend two very good thoughtful researchers who have had strong careers of trying to find the truth through numbers. I have known Scott Irwin for 25+ years and find him a true gentleman and careful scholar. If I had a student that wanted to do graduate work in agricultural economics, I would send him to Scott. I have tried to hire his students because they are well trained. If Scott writes something, I want to read it. I may not agree or like all of his research, but it is done carefully. I have been reading the work of Craig for over two decades. I have met him, but we are not friends. He is at the University of Houston where I formerly taught. He is the best economist on micro issues of futures markets, exchanges, and manipulation. I have traveled in the same circles with people who say they are part of the "Chicago School" of "fresh water" economists. If I could be of the same caliber as Craig with my work, I would be proud. He is beholden to one thing - the truth. Can there be biases in academic research and professors in the tank with Wall Street? Yes. It drives me crazy when academics pass themselves off as businessmen and walk between the two spaces. There are academics who want to pick the brains of people on the street, do research, and then try and monetize the work. Who are they representing? I have had academics pitch money management ideas and schemes with a small hedge funds but then whip out their university business card. Talk about conflicts of interest. This is not the case with Scott and Craig. I support their work and their integrity. The latest AER published a note on term premia and inflation uncertainty by Bauer, Ruderbush and Wu which confirms some of the basic intuition on bond markets. Their paper is an extension of earlier work by correcting the small sample bias created by looking at a limited time period. They find that term premia decrease with decrease in inflation and growth uncertainty. When we have less risk with our inflation forecasts, we will have less risk in the bond market. This makes simple sense. The reduction in inflation and the more range-bound behavior of inflation forecasts lead to lower premia over the last few years. From a central bank perspective, forward guidance can be particularly effective if it can provide insight on why ill be long-tern inflation and growth. If we can see less risk in these key variables, long-rate premia will come down. They also find that term premia are counter-cyclical and peak in recession periods. This occurs in all bond markets around the world. There is negative relationship with GDP and with leading indicators. The term premia is positively related to a recession dummy variable. The take-away is simple do not mess with the simple dynamics of term premia around the globe. It will create headwinds and tailwinds that can be used effectively. When will the gold decline stop? Is there a good reason to hold gold? The markets does not seem to think so. Money continued to be move out of the ETF sector by investors. The flight of the retail to the tune of $38 billion. Any buying switch to China and India may not be enough to stop the retail herd. Gold was down 28% which was almost the exact opposite of the S&P 500. It was first annual drop since 2000 and the worst annual move since 1981 when the Fed broke the high US inflation. So what was the reason for the deep decline? There is no inflation. All major countries are the general 2% target rates. Emerging market inflation which is generally higher than the G7 is also below expectations with just a few exceptions. There is greater fear of deflation even after years of quantitative easing. Additionally, real rates have risen from their lows. Gold does better in a falling real rate environment. The same issue can be applied to commodities in general. It is hard for the retail investor to hold gold with a performance gap of over 50% versus a stock market index. The desire for diversification is just not present. At $1200 per ounce, the market has fallen over $700 this year. Some could say that there is a good reason to now hold gold, but if we look at selected periods over the last three decades, gold can be rangebound for years. There is little threat of a financial crisis at this point. Rates, per forward guidance, should be rangebound. The inflation protection argument looks weak. There could be a more than 50% increase in inflation which could still keep it under 2%. Hence, the inflation story is unlikely to translate to new buying. Many investors are unlikely to move back to gold after suffering such large loses. The chance of a wrong bounce is low. It could just be the case that the latest run up in gold was a fad fueled by easy access through ETF's. Financial innovation through new products does not mean that everyone will be a winner. The Middle East will continue to be a place of supply shock risk for 2014. It is hard to think about oil forecasts without the context of politics. Even if there is better supply from other sources and tepid demand, the market will always have this upside risk unless there is a change in the geopolitical environment. It is hard for the speculative community to get short in size without thinking about this threat. Iraq violence is on the rise. This is a situation that is getting worse with a potential break-up of the country as a possible scenario in 2014. It is unlikely for production increases over the longer term because capital will just not be committed. Targets for higher production will not be reached. Current production goals are unlikely to be met. Iraq is the second largest OPEC producer overtaking Iran at more than 2.7 million barrels per day, but this is down from the previous year. Iran and the US do not seem like they are moving forward on a nuclear deal. 2013 was a year of positive diplomatic developments but the rhetoric has to be turned into a solution. There is a lot of hard work for any deal, so a disappointment is likely in the first half of 2014. A diplomatic solution will have a negative price shock, but the risk is that optimism will not be rewarded. The Syrian situation as not changed. There has been some movement on chemical weapons, but the regime has not met the December 31 deadline for sending chemical weapons out of the country. The real problem is if other Arab countries further intervene in the situation in manner that will expand violence. Libyan production has been down big again in 2013. It was bale to produce 1.6 mbpd in 2011 before the revolution but the latest number show production of just over 200,000 bpd. Since the government is so dependent on export revenue, the country will continue to be in a state of anarchy with no funds to stabilize the violence. Major oil players are not going to be investors in this environment. Of course, the US has made up for a significant part of the shortfall through its strong production gains. Saudi Arabia continues to keep production high, so the market has not tightened significantly. It would be a comfortable forecast that any geopolitical event will not have as strong an effect as what we would have seen before the Great Recession. Still, for leveraged trades, any short-term disruption would be dangerous. The long-term forecast for oil with current significant market backwardation is telling us that the long-run view is that this is not going to be a problem, but given the high level of uncertainty, long dated calls can profit from market complacency. The beginning of the year is always the time for predictions. I will make some and I will talk about the future. It is just part of the process of being an investor. However, I want to touch on what may be the most important issue - just knowing where you are at before you start to make new investment decisions. Think about anytime when you are our driving and lost. The question of the path you take, when you arrive, the driving conditions you will face are really of no consequence. The focus has to be on the more simple question of where you are at. Stop and figure that out first and than you can determine the new path. 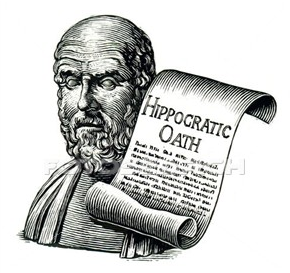 A doctor has to ensure that as a primary priority he will do no harm, the Hippocratic Oath. For those that are running portfolios, there is also a similar primary priority. Know the current environment. Know where you are at and then worry about predictions of where markets are going. Can you effectively describe what is the state of the business cycle. We can draw a simple sine curve to represent the normal business cycle. So where is the US economy on that curve. Are will near a peak? 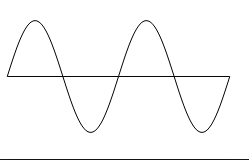 what is the amplitude of the curve? Where is the EU relative to the US on this curve? What about Japan? If you can get the position right you are ahead of most investors. Are equities over or undervalued? If you can answer that simple question, then forecasting can be easier. Can you describe the monetary policy environment? Can you say whether fiscal policy is loose or tight? Can you say something about other countries. Even if you get the forecast wrong, the cost will be less if we get the positioning right. I can easily argue that knowing where you are at can be as difficult as making predictions of the future, but it is the best starting place for any valuation discussion. Of course, if the environment changes and you have not made the right prediction, the cost will be high, but if you believe that the prediction game is like flipping a coin, then focus on the position game. Always know where you are. We can have a simple investment Hippocratic Oath - Know what is the investment environment! "Are exchange rates predictable?" is the question posed in a recent Journal of Economic Literature article by Barbara Rossi. This has been one of the most enduring puzzles in international finance. Starting with early work in the 1980's there has not be any strong evidence which suggests that we can use fundamental data to make predictions better than a random walk. Ouch, this is a real indictment of fundamental exchange rate models and the ability of currencies to follow fundamental information. After reviewing all of the work on this topic, Rossi gives an unequivocal maybe on the issue of predictability after an extensive analysis of tests and procedure for measuring the drivers of currencies. For predicting out of sample forecasts using monthly and quarterly data, some models work in some environments but there is nothing to say that we have cracked our understanding of the drivers of exchange rates. This does not mean that currency markets are efficient. It does mean that we have not been able to effectively model the dynamics of these rates. I will list some of the key finding which can be used by any forecaster to help in the future. Purchasing power parity (PPP) and monetary models do not have any success over horizons of less than 2-3 years. Do not use current inflation differences to make a currency judgment. The PPP speed of adjustment takes a longtime and there are significant deviations from PPP in the short-run. The same applies to monetary variables especially in the short-run. Adding productivity differences or portfolio stock balances do not add to predictability. My take on this is that inflation has been tamed in the last 3 decades, so there is just little variation in inflation relative to the movement of exchange rates. Small differences in inflation can hardly explain the large variation in FX rates. Of course this begs the question of that causes the volatility in exchange rates. With respect to monetary variables, simple use of monetary aggregates are not useful because this is not chief driver of monetary policy, Switching from interest rate targeting to monetary targeting, to a Taylor Rule, or to inflation targeting means that a simple approach will be ineffective over long time periods. The policy reaction of today is different from the '70's, 80's, and 90's. Given each country has a different policy reaction, it will be hard to use any simple relative measure to explain exchange rates. We should expect the forecasting skill of monetary models to change through time and across countries. Uncovered interest rate and covered interest rate period have poor forecasting skill. Commodity price data for those countries that have commodity exports seems to be promising area of research. My take on this is that any simple model that is driven by uncovered interest rate parity will be flawed given the behavior of exchange rates to carry behavior. The forward rate is a biased predictor, so any model that uses this assumption will have a problem with forecasting skill. There is little for interest rates, prices, output and money as prediction drivers. However, Taylor Rule fundamentals and net foreign asset positions are more useful. You need to have a monetary reaction functions not the raw numbers to make predictions. Simply put, if countries are both using some form of the Taylor Rule, this will show up with how they run their economies and effect relative prices of money. The Taylor Rule says that currencies will be affected by inflation differences and output gaps. Measure of financial stress and liquidity are also useful; however, it may be related to the most recent crisis events. Recent models that focus on net foreign asset flows seems to be the most promising predictors at short horizons. From a modeling perspective, keep it simple. Linear models with the right predictors do better than those which increase statistical complexity. Predictability will change with the currency being analyzed and changing the specification of the data used (such as detrended) will have an impact on predictions. Use the right data, structure it well and employ simple specifications and you will be rewarded. The quality of predictions change with time. What works today may be ineffective tomorrow, but given the significant changes in the currency markets, this should be expected. Even the way we pose the question will have an impact on forecasting power. You have to ask the right question For example, do you want to get the direction right or do you want to have the lowest mean squared error. A model can have higher mean squared error but do better than a random walk on predicting direction. Surprisingly, there is little work on using technical signals or market based measures from options or sentiment as tools to predict exchange rates. There has been failure with fundamental models which is the reason why there has been a focus on price based systems. You cannot really say that random walks are the best predictors without including technical or price based forecasting tools. There is enough evidence to suggest that working at currency predictions could be rewarded, but using a single specification or approach is bankrupt. The markets constantly change and perhaps this is the conclusion we should draw from the data.